Buy and earn 2,990 points valued at £29.90. Highly rare, Single Malts from Kinclaith and extremely sought after! 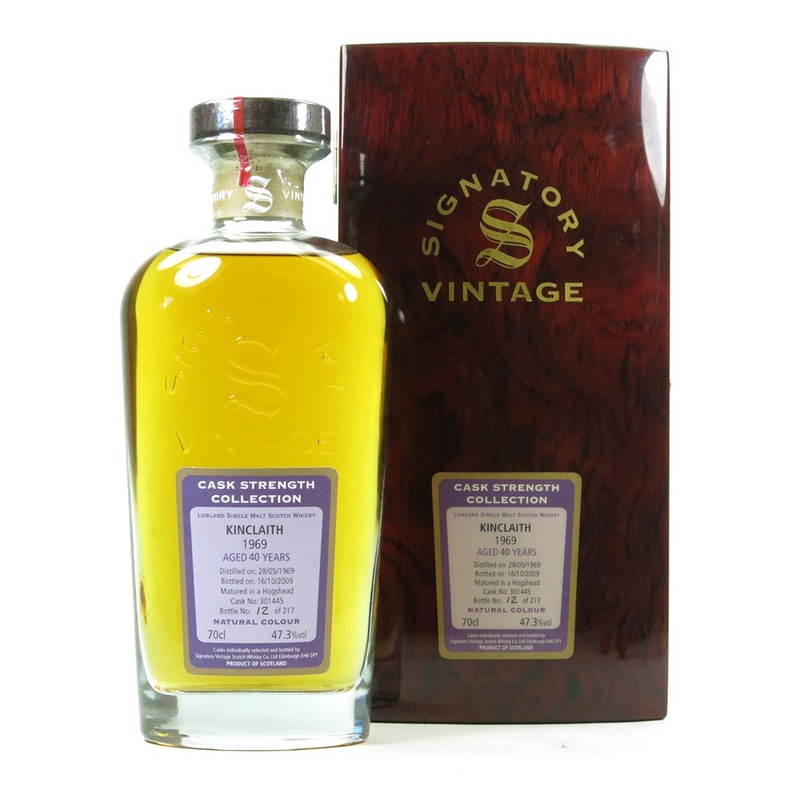 Aged for an extraordinary 40 years, only a limited amount of 217 bottles of this extremely rare whisky are available, bottled by independent bottlers Signatory Vintage. Built to provide malt whisky for the Long John blend, the distillery was only in operation for 18 years, between 1957 an 1975, before shortly after being demolished in 1982. Located at the site of Strathclyde grain distillery, a distillery which still operates today, Kinclaith was the last malt distillery built in Glasgow. Nose: Refreshing with sweet grapes, crunchy apples and fruit juice tinged cream, with vanilla extract. Palate: A richness builds with dark, sweet liquorice to start, with woody spice sitting behind, providing more body. Give it time and wood develops with rich blackberry tarts and blackberry leaf. Finish: Digestive biscuits, dark fruit, and liquorice.